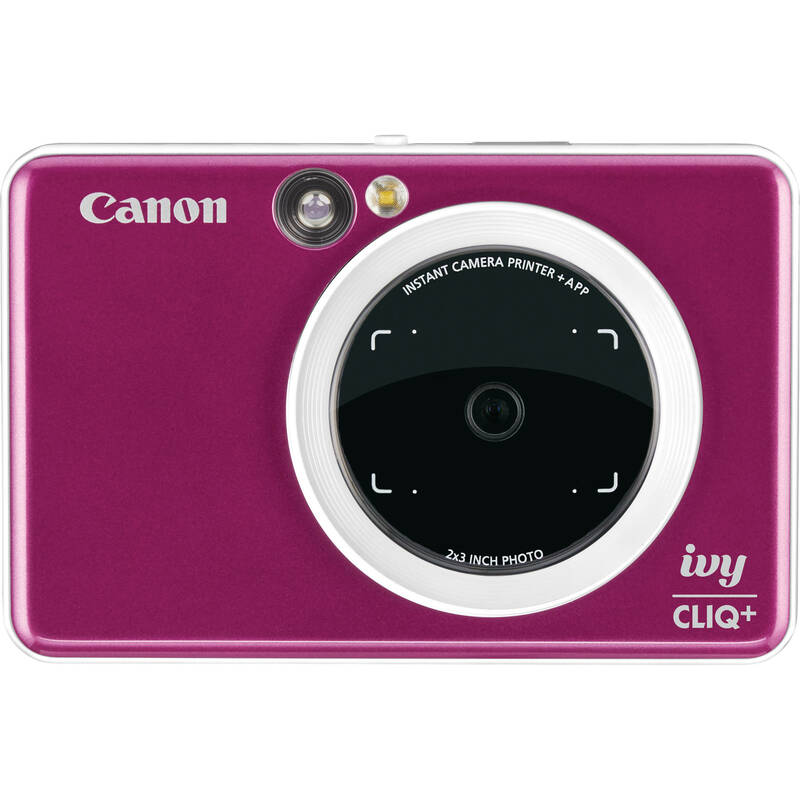 IVY CLIQ+ Instant Camera Printer (Ruby Red) is rated 5.0 out of 5 by 1. Rated 5 out of 5 by Patrick from Both a smartphone printer and a standalone camera/printer! My previous Zink printer was the Polaroid ZIP printer. It was a fine printer that was involved in many fun memories and moments. However, the connection to a smartphone could be finicky at times and it kind of killed the spontaneity of wanting to get printouts fast while in the moment. Plus, the app made it quite difficult to predict the color output of the photos. This Canon camera printer solved all that. It too can be paired with a smartphone to act as a printer. However, the app is much better than the Polaroid one. The other benefit is this can act as a standalone camera/printer. It has a framing box (both in the front of the camera for selfies and in the viewfinder) so its easier to frame what you want to take a picture of. It does have LEDs to light up subjects. I do find the shutter button to be a little too easy to take photos. A couple times, I accidentally took a photo even when I was just grabbing the camera or giving it to someone. Battery life is much better than my Polaroid was. However, I did notice at a party when I wanted to print a bunch of printers, the Canon did require a cooling period sooner than the Polaroid when I was printing a lot of pics (though this may be because the Canon app makes it more convenient to print photos faster while I had to prep photos in the Polaroid app). White balance can be an issue with using the Canon as a standalone camera with pictures leaning toward being very cool (though to be fair, some of my testing was in an office with bad fluorescent lighting). So if you want more precise colors, use it as a printer with a smartphone.